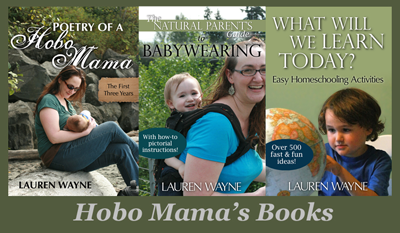 Hobo Mama: Do you and your kids share the same homeschool philosophy? 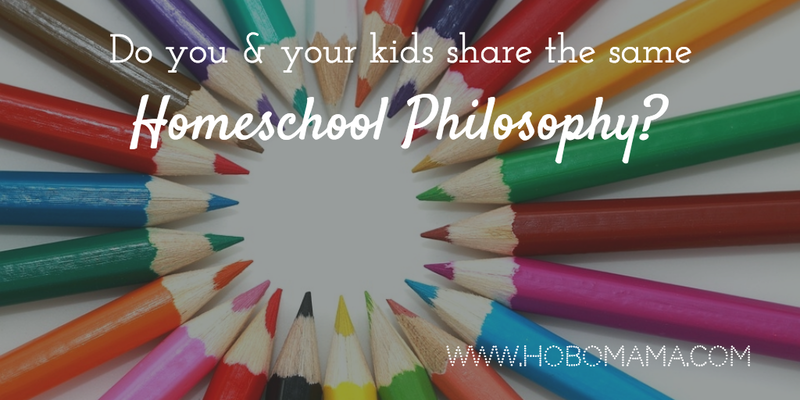 Do you and your kids share the same homeschool philosophy? 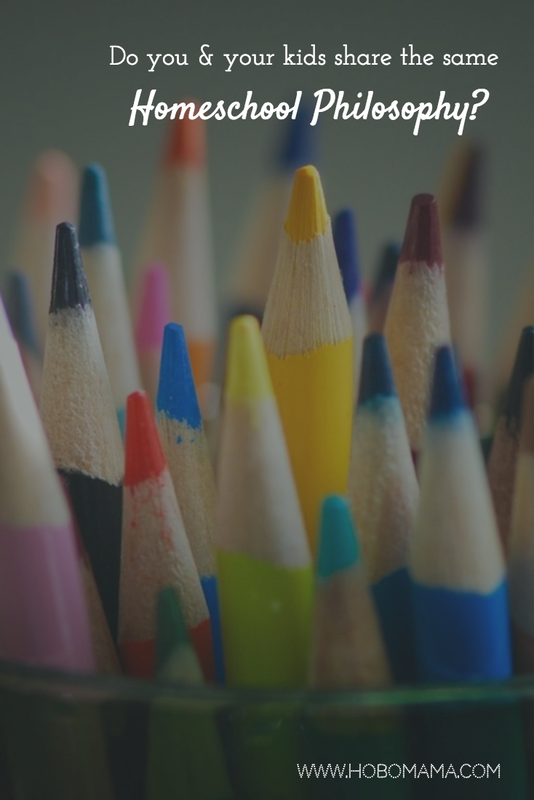 I recently took a quiz on "What Kind of Homeschooler Are You?" posted by my friend Jennifer on Facebook as found on the blog Eclectic Homeschooling. My results were mostly what I expected — high emphasis on natural, child-led learning and a low emphasis on "school at home." But what I was even more interested in was finding out if my kids agreed with my philosophy on learning. After all, how could I believe in child-led learning if my children didn't think that was a worthy goal? That's kind of a head-scratcher, isn't it? But I do think I'd adapt our unschooling approach to be more schooly if that's what our kids needed from us. So, I had 9-year-old Mikko take the quiz, going through each question with him to be sure I understood his point of view. Our results were as follows. Mine is the first number, and Mikko's is the second. I've rearranged them into descending order to make it easier to scan. To briefly sum up my responses, I scored highest on unschooling but kind of surprisingly high on two philosophies I don't align with on a practical level. I feel like there's a big difference between the philosophy of some and how it looks in practice. For instance, Thomas Jefferson Education is, as I am, interested in child-led learning and adult mentorship with low emphasis on memorization and tests, but I don't personally emphasize "the classics" because: What even are classics? Ok, this is a whole other topic, but suffice it to say, I have reservations about Western culture's elevation of only certain texts and authors, usually white male, over other resources. An interesting note: When I took the revised quiz on Eclectic Homeschooling (more on that below), I scored very low on TJEd, so I think my high score here is an anomaly and due to the wording of the original questions. The Charlotte Mason philosophy is another where I have elements of agreement, such as enjoying narrative books rather than just textbooks or getting outdoors and enjoying a range of practical topics, but we never do some of the things Charlotte Mason followers do in practice, such as copy work. I do have an affinity for Montessori teaching, even though I've been lackluster in my own follow-through. I'm just too messy for it to stick, I think! Seeing unit studies in the middle made sense to me, because I like the idea of unit studies, though I rarely plan them out in practice. The idea is that kids can learn more than one subject at a time. For instance, a unit study of mummies might incorporate elements of history, geography, comparative religions, biology, language, spelling, and reading comprehension. In our practice, this more just happens naturally in our unschooling life than that I sit down and plan such things out. And it's no surprise that classical and traditional education ended up at the bottom of the heap. I'm just too much a rebel, apparently. So then it was time to engage Mikko's opinions on the matter. What you'll see right off the bat in our numbers comparisons is that I'm more extreme in my quiz-answering style. Mikko didn't want to commit strongly to much of anything, whereas I tend to just go for it on online quizzes. So you'll need to look at the ranking of our numbers rather than the numbers themselves. You'll then see that Mikko scored the same top three as I did, though his were evenly matched. Again, two things to mention there: TJEd was probably unfairly weighted, and it's unlikely Mikko would ever blossom under dictation work à la Charlotte Mason. What pushed him into those top three categories were questions such as the very first one: "Great books from history and literature should be used in place of textbooks." He agreed, but we both had reservations on what "great books" should mean. His main bent was that textbooks were not as fun as less preachy resources. He liked #4 "Child-led learning is important," #10 "Learning is more effective when the child is interested," and #25 "Children will learn when they are ready." He gave some of his strongest answers when disagreeing with questions like #3 "I want to use curriculum similar to what is used in public or private schools," #9 "I prefer to purchase grade-level curriculum packages that are planned out for me," #34 "Tests and grades should be given in elementary or middle school," and #36 "Our learning environment looks like a mini-classroom," as well as #24 "Learning to write clearly and use elegant language is important." He thought the idea of elegance was laughable. His answers to these both reinforces the unschooling bent and probably illustrates why he scored low on traditional and classical education. Mikko also had a strong reaction to #27 "Being able to transition into a public or private school classroom is important," because he's dedicated to avoiding such an eventuality. I'm not sure exactly which questions delineated classical education, but Mikko scored lower than I did. I suspect it had to do with some of the questions on using books, which I'm more interested in than he is. Other than that, I'm not sure. I'm not really into classical education, so it's fine that our numbers were both low, and I'll leave it at that. It might look as though Mikko and I disagreed on the importance of Montessori and Waldorf influences, but given his lower numbers throughout, I think we were pretty much in alignment. We had a mix of responses to related questions, where we thought going outside, playing, and working on various hands-on subjects were good ideas, but that we also liked screens (Mikko was adamant about disagreeing strongly with any anti-screen question!). You'll note that Mikko and I did diverge on unit studies. 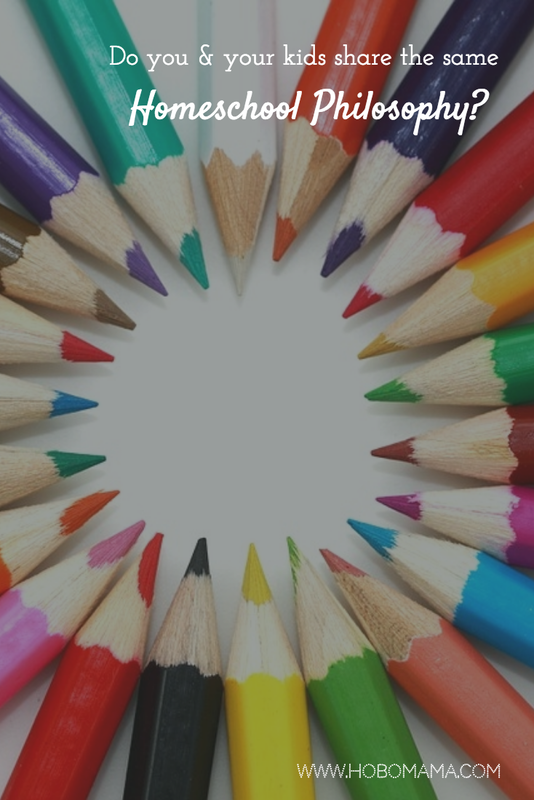 The questions were ones like #14 "Incorporating many different subjects into one study is preferable" and #39 "Topical studies help children make connections between subjects." I think my unschooling philosophy, as I explained above, was at work here, in seeing the ways a unit study-like approach can be beneficial for a homeschooling family in allowing multiple ages to participate and in covering many subjects at the same time. It's funny, because I feel like Mikko naturally learns in unit study-type ways, but his experience with specific unit studies has been uninspiring to him. He likes (a) doing his own thing entirely or (b) working at, ostensibly, one skill at a time through programs such as Prodigy Game for math, Keyboarding Without Tears for typing and computer skills, and Headsprout for reading. (You'll also note these are screen-heavy.) Now, I could tell you those are still demi-unit studies in practice in that Prodigy demands a lot of reading from him, as does Keyboarding, which further incorporates history and geography lessons into its typing practice. But I think Mikko has an ordered mind that likes things compartmentalized, so he's thumbs-down on unit study philosophy. I appreciate the inclusion of Project-Based Homeschooling. I recently read the book by Lori Pickert and resonated a lot with the ideas in it. I mean to write a dedicated post one of these days, but for now I'll just say that it goes hand-in-glove with an unschooling approach, where you as the parent facilitate your child's learning and allow long stretches of exploration and experimentation. The new quiz also added Reggio-Inspired, which I sort of lump in with Montessori and Waldorf as interesting preschool-based approaches I think are nifty. I wouldn't say I do anything by the book with any of them, but I do think we moderately align in philosophy, which is reflected in their scores. You'll see I also remained a dedicated nope on traditional education, and the Thomas Jefferson Education scoring was revised to be more in line with my views on classical education, so that all seems about right. I encourage you to take either the original or revised homeschool quiz and see if the results surprise you or not. And then see if your school-age children agree with you! Even if the results were not what you were expecting, you might find some new resources and ideas to add to your homeschool toolbox. Next up: Having my husband/unschooling partner take the quizzes! Let me know your results or thoughts in the comments!